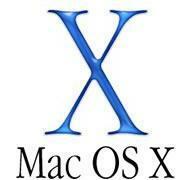 @Justanomadx explains on the OSX86Devs YouTube channel - which you should definitely join for step by step guides. There will be more to come, so help out by clicking subscribe and all the rest! Create macOS installer from .app file to .dmg with Clover installer talks you through the full process, including the Clover (thanks @mackie100 !) stuff . This update improves the stability, performance, or compatibility of your Mac and are recommended for all macOS Mojave users. Adds RTT (real-time text) support for Wi-Fi calling. Adds a menu item to News for opening a story in Safari. Resolves an issue that may prevent iTunes from playing media to third-party AirPlay speakers. Allows administrators to enable FileVault via MDM for mobile accounts and users created by MDM. Allows users to reset their login password at the login window when that password has expired via a password policy. Resolves an issue that prevents displays from working when connected to MacBook Pro models introduced in 2018, if certain third-party USB graphics devices are also connected. It also was made to be compatible with the most used Linux Distros so, in others words, the script will automate all needed tasks for you.. Thanks to @kyndder for all his hard work on this - check out the full post below. Rarely, you may need to reinstall macOS Mojave system software, usually for troubleshooting purposes. Reinstalling MacOS Mojave as discussed here will aim to only reinstall the macOS Mojave system software itself, it will not erase the drive, nor will it remove any user data or user files, making it ideal for troubleshooting. This walkthrough will show you the easiest way to reinstall macOS Mojave from a Mac that already has macOS Mojave on it by using Recovery Mode. Note that reinstalling macOS Mojave with this approach is not the same thing as performing a clean install. A clean install of Mojave erases literally everything on the computer, including personal data, by using a bootable Mojave installer drive, while reinstalling aims to simply reinstall only the macOS operating system itself.